Rational to emotional brand propositions; smart? "As we evolved, we figured there were many other facets of the product which customers were feeling positive about like mileage, ride quality and trouble free ownership. That’s when we thought of moving on to emotion driven advertising." The brand in question is Mahindra Logan, earlier positioned as a 'wide-bodied' car. It now wants to move onto an emotional plank. With Kunal Kapoor as their “brand protagonist” the idea is to rub in the “dare to do my own thing” attitude. The break, according to M&M is part of positioning evolution. The brand is moving to the emotional association of “owning an attitude”. Lets analyse this move carefully. 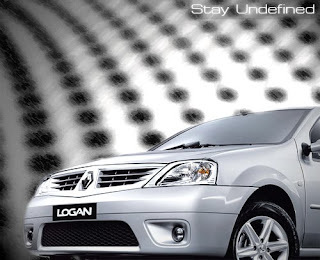 According to the company, Logan customers had found many more positive facets about the product in addition to its wide body. Well, that's just fine, except that all of the mentioned facets are pretty 'rational value' facets. None of 'em have any emotional, psychological twang to it. For example were there Logan drivers who felt the 'attitude' driving the vehicle around? Did they have that 'swagger' when got out of the Logan? Sure, that's something the brand wants to convey to future buyers. But will it connect? Especially when nothing's changed about the car. Or will there be changes? If yes, what changes? Take the name for the instance. Where's the 'attitude' in 'Logan'? What about the design? The colours? The gadgets that come along? Maybe all that's in the pipeline. If it isn't, just getting a celebrity, who agreed, may not overshadow the brand, just will not help. In fact it would make good sense to leave the brand untouched, or make changes by not getting on to any 'new' emotional planks, but by enhancing the 'rational' ones.